Reduces stress, helps build muscle and endurance. 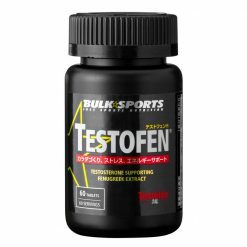 Bulk Sports Testofen helps normalize hormonal levels and maintain peak performance. Testosterone boosting supplements are designed for specifically for male athletes who want to increase their power and strength. Natural hormone levels decrease due to age, high intensity training, stress, poor diet, and lack of sleep. This in turn will adversely affect athletic performance. Testofen is a patented extract of fenugreek seeds and contains Fenuside saponins, which has been demonstrated to normalize steroid levels. Bulk Sports supplements are manufactured in accordance with the highest industry standards, but this product does not have a TSP mark. This is because of the incorporation of fenugreek into Testofen®, a product of the United States Gencor Pacific Corporation. 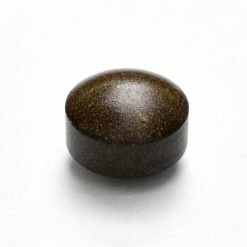 Fenugreek is not a prohibited substance, but it happens to contain a naturally occurring steroid. Therefore, athletes undergoing drug tests do not use it. Take 1-2 tablets daily with water.